If my ebay account is banned, will my paypal account be banned as well? I am selling digitally delivered goods and it's risky. Last time I checked I am on Very Low Compliance until October. There are many cases of eB being banned but pp surviving. So nothing is 100% - if one goes down, do NOT try to use the other with a new account - e.g. if eb goes down, dont make new eB for the pp account - you can use the pp account for other things. I had an account Banned once and then made another one, but eBay was on it and then Blocked my IP Address or kept it and just kept closing down my account. 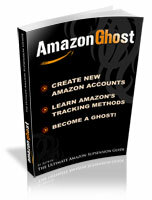 With selling eBook's on eBay most of the time it's the other people who are selling it reporting other seller's. Also watch out if you are selling eBook's that you don't get the inbox saying i will report you if you don't give me free eBook's! Better of setting up your own website and selling them from there, That is of course if you are selling eBook's! Very risky. Only the strongest accounts are able to sell digital good for any period of time. It's never wise to sell digital goods until your account has built up its feedback with 100% and aged. Even then you need to send with tracking to reassure eBay. Make sure to spread those sales out!! What do you consider a strong account? What limits and how many feedback in one year? Not a given that the paypal will be banned. However, after October, if you continue to rank low compliance expect hassles from paypal too. Up to you to repair the damage. Hope you are looking for other items to sell.